A Review of the all-new 2019 Genesis G70. IN A NUTSHELL: Winner of several 2019 Car of the Year awards.....and I cannot say I disagree. 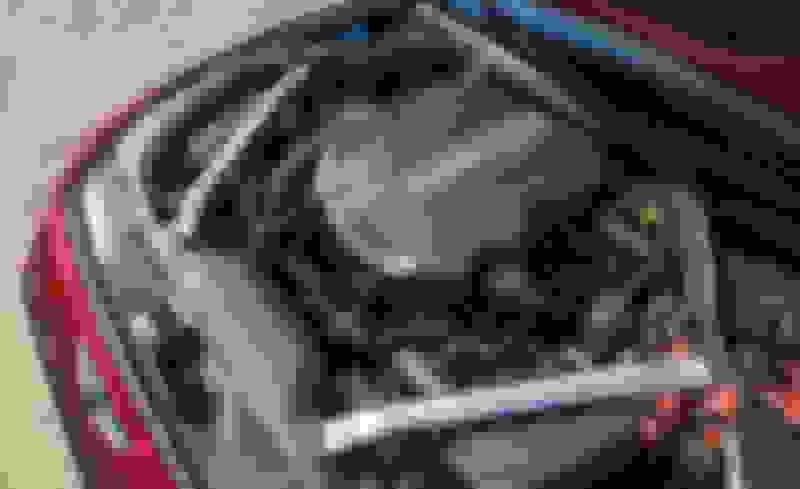 CLOSEST AMERICAN-MARKET COMPETITORS: While there are a number of sedans that could be considered competitors, IMO probably the closest, in the American market, are the BMW 3-Series, Infiniti Q50, Lexus IS, Cadillac ATS, and Mercedes C-Class. The ATS will probably soon be discontinued. Hyundai's premium Genesis division is relative newcomer to the auto industry, having been in business only a couple of years, and essentially basing their products on upmarket versions of RWD/AWD Hyundai and Kia sedans (there are officially no Genesis SUVs/CUVs yet in the American market, but they are on the way). The large flagship G90 sedan is the successor-generation to Hyundai's former Equus flagship. 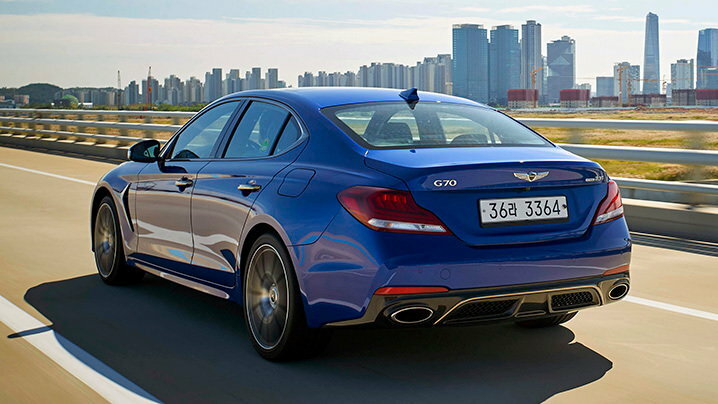 The G80 (my favorite Genesis product) is virtually the same vehicle as the former Second-Generation Hyundai Genesis sedan, simply renamed and given some trim-variations for the Genesis nameplate. And the all-new G70 sport-sedan (the subject of this review) is a compact-sized version of the same platform and drivetrains used for the recent (and highly-regarded) Kia Stinger sport-sedan, though slightly smaller than the Stinger itself. For this class of sport-sedan, of course, the obvious target/benchmark is the long-running BMW 3-series, which has been the King of this class for many years, though not quite so much in the last several years as before, since the loss of the traditional BMW Magic-Touch hydraulic power steering, substitution of the electric steering, and somewhat more mass-market approach to the chassis/suspension/handling. BMWs have also been somewhat iffy in the reliability department, particularly in electronics and hardware. Recently, Mercedes has upgraded the interiors of their competing C-class, and been even more competition. The Lexus IS, of course, has always been the reliability-standard in this class, but, IMO, the second and third-generation versions were not particularly impressive in their interior and trim materials....and the first-generation was essentially a rebadged Toyota Altezza, though extremely well-built. The Infiniti Q50 is a nice car overall, but the Direct-Adaptive Steering option is quirky, and the car has suffered from some build-quality issues. The Cadillac ATS has Formula-One handling, but suffers from a stiff ride, an unrefined turbo four, indifferent build-quality, and GM management that considers sedans to be disposable items....it probably won't be around much longer. So, the all-new G70 debuts right smack in the middle of some quite nice, but still-less-than-perfect competition. But, even before officially going on public sale, it has already made quite a name for itself with the auto journalists. Several automotive organizations have given it Car of the Year or similar awards. I, myself, have thought quite highly of every Genesis product I have static-reviewed and/or test-driven. All have seemed very well-built, with solid, durable materials, and the new G70 is no exception.....I'll get into the details later, of course. The G70 comes in two basic versions...the bread-and-butter 2.0T with the 2.0L Turbo inline four of 252 HP and 260 Ft-lbs. of torque, and the 3.3L Turbo V-6 of 365 HP and 376 ft-lbs. of torque. Both versions come with a choice of RWD or AWD.....FWD, of course, is generally ruled out if you are going to do a true, traditional sport-sedan. For traditionalists, RWD versions of the base 2.0T can be equipped with a true three-pedal manual transmission (they probably will have to be special-ordered, as most dealerships probably won't have many in stock). The other versions all come with an 8-speed Shift-Tronic automatic transmission, an electronic shift-lever on the console, and shift-paddles on the steering column. Base prices run from $34,900 to $45,750, depending on drivetrain and options, though the Advanced, Sport, Elite, and Prestige Packages can add significantly to those prices. 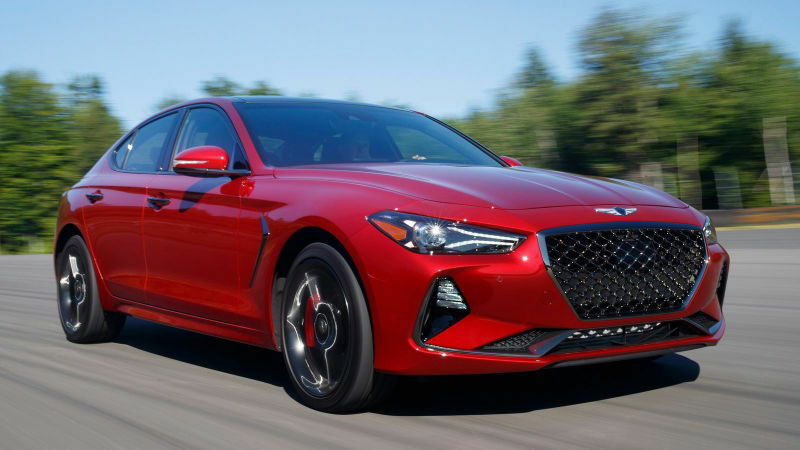 I've been waiting for some time to check out a G70, and, of course, there has been a delay in the shipping of all of the 2019 Genesis models due to legal issues among which formerly Hyundai and Genesis dealerships were actually going to be allowed to market and sell the 2019 models. It was a complex issue, and I'm not enough of a lawyer to explain it in detail, though Alex Dykes (who I consider the best auto reviewer in the business) explains it in a special video he did on the subject. As usual, I static-reviewed several G70s sitting on the lot and in the showroom. There was only one 3.3L version in stock......in the showroom, where it would have been impractical to try and remove it for a test-drive, especially on this COLD, windy day (the dealership said the 3.3Ls are currently hard to get). So, that pretty much limited my choice to the 2.0Ts outside....all of them AWD models. I thought that the ones with the Prestige package (which includes the quilted Nappa-leather seats and door-panels), particularly in two-tone, were easily the most attractive inside (and probably worth the price of the package) so I chose one of those for the test drive. While this type of car, in general, does not have quite the type of softer seating or road-manners I am looking for, I cannot say I was disappointed......this is one impressively-built compact sedan. DRIVETRAIN: AWD 252 HP @ 6200 RPM, Torque 260 Ft-lbs. @ 1400 RPM, 8-speed automatic with Manual-mode shift-paddles. Superb fit-and-finish inside and out. Ultra-quick, Go-cart steering response in SPORT mode. Well-done brakes and brake pedal. Strong underhood double-bracing for added unibody rigidity. Firm but comfortably-shaped front seats. Temporary spare tire (no Run-Flats or compressed-air bottles). 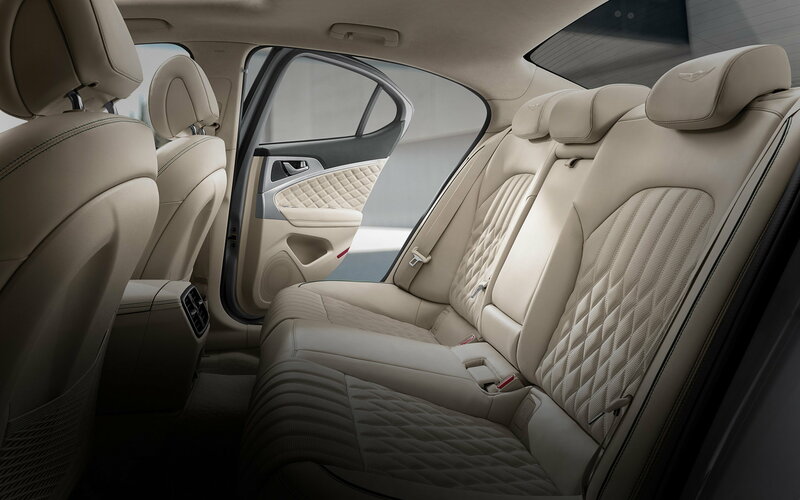 Rear seats fold down for added cargo room (some sport-sedans omit that feature). Valet pick-up/delivery service at your home for service or warranty repairs. Very few dealerships currently available....you may have to travel some to find one. "What's a Genesis?" public attitude. Tacky-looking center-dash pod for the video screen (that is a problem in many new vehicles). Rear seats in this class of sedan not particularly roomy. Cargo area not particularly well-finished for the price. The basic exterior styling is not unlike tat of its two larger brothers....it's easy to tell the G70 as a member of the Genesis sedan family. All three have generally similar grilles and front ends. The G70 and G80 generally share the same silhouette...the larger G90 has a somewhat different, and more conventional roofline and D-pillars. All three have rock-solid construction on the exterior and doors that thunk-shut (by today's standards) like bank vaults). I say by today's standards, because the tendency has been towards lighter and lighter sheet metal and glass. Most of the G70 samples I looked at came with Michelin 45-series tires....a little lower-profile than I'd like, but par for the course on many sedans today, particularly sport-sedans. The paint job is virtually Lexus-quality, and some nice paint colors are available (though I'd prefer to see a little wider choice). Open the solid hood, and a nice pair of gas struts holds it up for you....no fumbling with a cheap manual prop-rod. The usual sound-insulation pad is on the underside of the hood. The engine compartment is generally well-laid out. Both engines fit in longitudinally, which gives a little more room to reach engine components for repair or maintenance. Both engines are also set back a little for optimal weight-distribution and handling, which is common in sport-sedans. 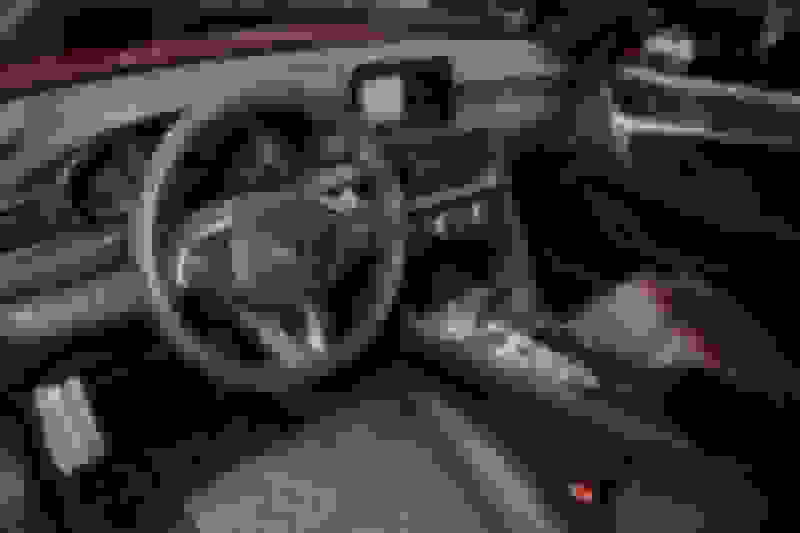 The dipsticks, fluid-reservoirs, and filler-caps, as usual, are generally easy to find and access. 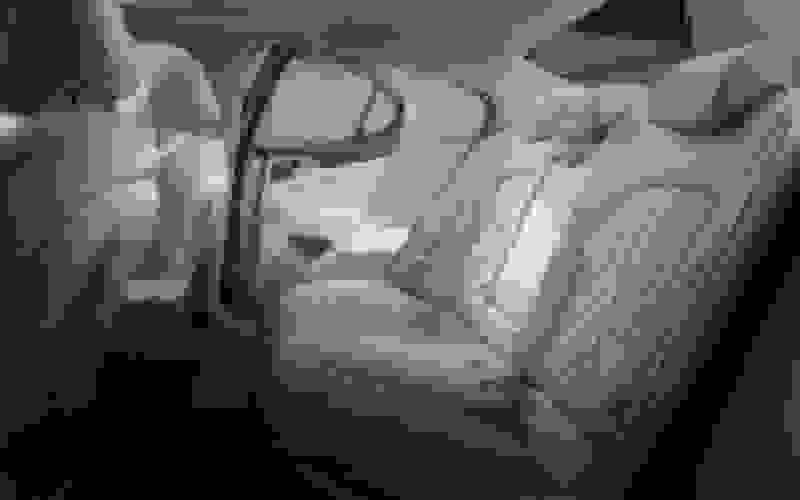 Two large, solid, V-braces anchor the front and sides of the engine compartment for added unibody strength underhood. Easily one of the car's best features, along with the overall solid construction. 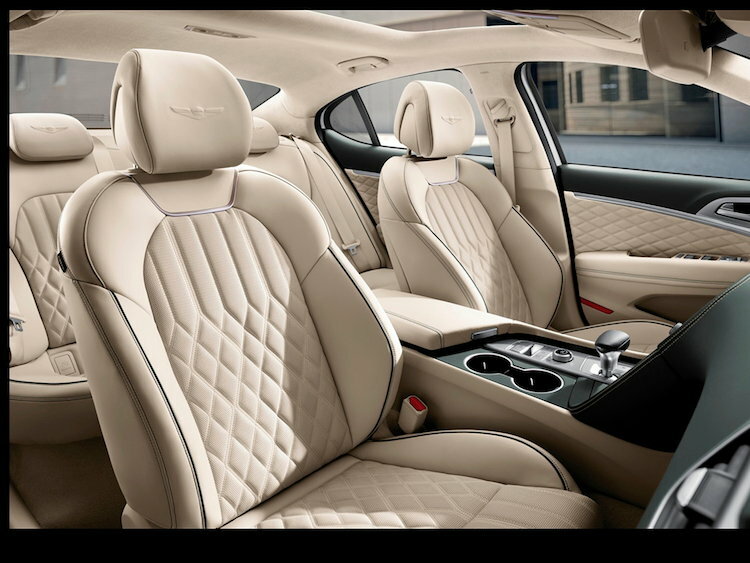 I was especially impressed with the Prestige-package Quilted Nappa-Leather, particularly in the two-tone interiors....though the cows won't like it, yes, this is true leather, not the more typical leatherette. I had adequate room, with the seats-cushion adjusted down, for my big 6' 2" frame (and baseball cap) without hitting the sunroof housing. The rear seat is not particularly roomy for tall persons, but that is to be expected in this class of sedan....one is not buying a Chevy Suburban. Though there are a few light-feeling plastic switches and buttons here and there, most of the interior, including the trim, appears to be made of quite-good materials, definitely better than average for many automakers today. The primary gauges are well-designed and legible, though the video-screen and driver-information panel was a little on the complex side, and will probably take some time (and the Owners' Manual) to get used to. The seat cushion itself was a little firm for my tastes (I like cushiness), but, unlike the seats in many sport-oriented vehicles, were well-shaped for my big frame, and the side-bolsters were not uncomfortable. The only thing inside that I really didn't like was the tacky-looking rectangle-frame for the video screen sticking straight up out of the center-dash....IMO the screens look much better when they are integrated into the dash, like on my Lacrosse. I would have preferred to see some wood or wood-tone trim (as in the G80 and G90)....but, Genesis did an A-1 job on the interior, even without the wood-tone. The stereo sound quality was good, but not to the standards of, say, a Lexus Mark Levinson unit (which, IMO, is the industry benchmark). Open the rear hatch, and the cargo compartment is not particularly roomy, but keeping in mind that this size of sedan is not intended to carry large or bulky items. The cargo area itself is not quite as well-finished as I expected for the price (thin black-fabric carpet on the floor, and hard-plastic on the walls), though I figure that, considering the high quality of materials in much of the rest of this car, the bean-counters had to save some costs somewhere. And why not save costs where the luggage, not the passengers, has to ride?.....that, to me, makes sense, as long as it does not impact on the rear sound-insulation too much. The $45 First-Aid kit in the trunk is a nice touch, though I can remember these were standard in upmarket vehicles....and the First-aid kit, of course, is for passengers, not luggage. Under the floor is a temporary full-size spare tire. I used to complain about temporary spares (as opposed to a real spare tire and wheel), but, today, it's nice to see even a temporary in these days of run-flats and compressed-air-bottles. Start up the turbo four, and it idles with a decent amount of refinement, though probably not as much refinement as the turbo V6 (as explained above, I didn't sample the V6). On the road, it is similarly well-refined by four-cylinder standards. The turbo gives it a little kick, though, of course, the added weight and drag of AWD (which my test-car had) takes out some of the punch (and MPG). The eight-speed transmission shifts smoothly, and the electronic T-joystick shifter is more intuitive than, say, the E-shifters in GM and BMW products. Still, given the choice, I prefer a traditional fore-aft PRNDL, just like the industry gave us for the last 50 years. Some E-shifters open up room under the console for a carry-compartment, but Genesis did not put one in the G70. One cannot use the E-shifter for the Select-Shift manual-mode (there is no separate position), but there are nicely-mounted shift-paddles on the steering column. ECO/COMFORT/SPORT driving-modes adjust the engine tuning and shift points. The chassis is quite well-done from a handling standpoint, and the level of steering response, particularly in the SPORT mode, can be measured in Go-Kart levels....it's that quick. In fact, it's so quick, at times (almost darty), that care is sometimes needed to keep it tracking straight, as the slightest nudge on the wheel will elicit a response from the front wheels. While it is still an electronic steering unit, of course, lacking the superb tactile road-feel of older BMWs, in terms of quickness, this is one of the quickest-responding units I've seen. I'd recommend keeping the Vehicle Stability System turned on, to guard against oversteer....otherwise, the front end just might respond too quick for some drivers not used to it. Ride comfort (as I expected) was not quite to my liking, but, then, that is to be expected with a car like this, and that is why Genesis also sells the easier-riding G80 and G90. And, even so, I can't really complain about the G70's ride comfort....it wasn't bad considering the natives of the wheelbase, tires, and suspension....I've sampled lots worse. Wind noise was quite well-controlled...probably a result of the solid construction of the doors and windows. Road noise, like with most vehicles, varies according to speed and road surface/condition, but, overall, was not bad.....sport-sedan or not, this is a luxury-nameplate vehicle, and its tires are not expected to assault your ears. The brake pedal was fairly well-located for my big Men's-size-15 clown-shoes, but was just a little further away from the gas pedal than I would have liked. Fortunately, my big shoe did not have any hang-ups on the pedal-edges, and the brakes themselves were quite smooth and effective. Some versions of the G70 get performance Brembo brakes....my test vehicle did not have them. In one short sentence.....Darn, this is one nice small sports-sedan. If people will simply take the time to go look at one (though the sparse dealership network doesn't help) instead of the usual "That's a Hyundai?" or "Ha, Ha" attitude still so prevalent, I think it has the potential to give its competitors fits. Engineering-wise (and especially quality-wise) I think it is probably the most serious potential challenge to the King 3-series yet. Don't get me wrong.....the G70 is probably not going to sell in 3-series numbers anytime soon, but, as dealerships expand, if folks will just go look at it and drive it, the sales numbers will go up. And, of course, if you are like me, and prefer a sedan a little more subdued, simply walk down to the other end of the Genesis showroom and look at a G80 or G90.....and, of course, the Genesis SUVs that will be coming before very long. Since GM and Ford are essentially tossing their sedan customers to the wind (and make no mistake about it.....those customers aren't going to forget it), I think the Korean manufacturers, including Genesis, are going to be among the big gainers. Last edited by mmarshall; 01-11-19 at 07:04 PM. My comments for this vehicle are that it lacks a cutting edge trend setting design inside and out, that’s a big weakness. There is no risk as Genesis played it safe. The other issue is that infotainment system is lifted straight from Hyundai and the fonts and style is not flashing in that luxury car way. I also think Genesis missed the mark by not having a digital gauge cluster. I see this car every time I go to Square One mall (which is a lot lol). It is a nice car. Thanks. Not many dealerships actually put the window stickers on-line with the inventory. This one does. It's a better image than I could get with my cell phone camera. My comments for this vehicle are that it lacks a cutting edge trend setting design inside and out, that’s a big weakness. There is no risk as Genesis played it safe. My guess is that they wanted it to look like other Genesis sedans, so that the public wouldn't think it is a more-cheaply done smaller car, and not worthy of the Genesis nameplate. In that (and in the car's construction) they succeeded. I also think Genesis missed the mark by not having a digital gauge cluster. Analog instrumentation (or at least analog-style electronic gauges) are probably more fitting to a true sports-sedan. Remember the Pontiac 6000STE? GM tried putting a Buck-Rogers electronic dash on that car (which was meant to be a Euro-style sports sedan) and the effect was ridiculous. Yes, I know...we've had 35 years of technology-improvements since then, so, to an extent, it's apples and oranges, but the basic effect is still the same. Take one out for a spin if you get a chance. I don't think you will be disappointed. 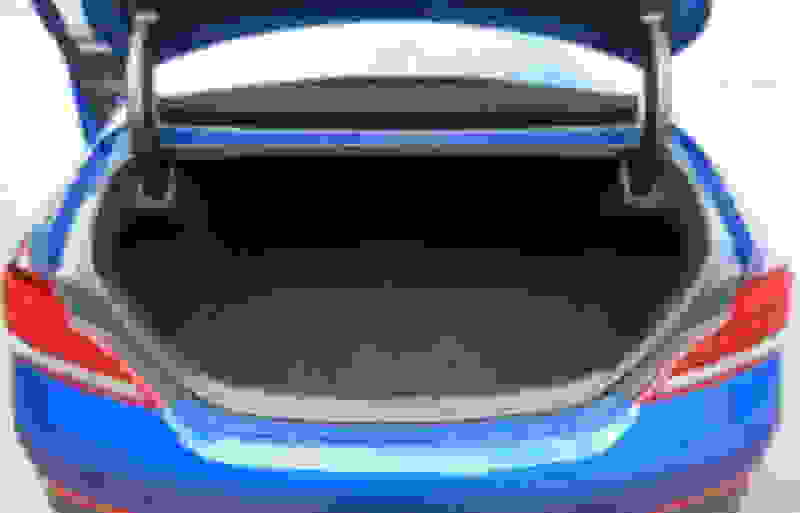 Last edited by mmarshall; 01-11-19 at 06:53 PM. A very. vert nice car. Thanks. Yes, for sport-sedan fans, it may be hard to beat this one for the money. MM thanks for the review. In line with my expectations and a great car. I just wish styling-wise it stood out more from the crowd for this car to really excite me. MM thanks for the review. Glad you enjoyed it. Took long enough. If it wasn't for this problem with the dealer-identity crisis, the public (including us) would have had access to the G70 a couple of months ago. In line with my expectations and a great car. I just wish styling-wise it stood out more from the crowd for this car to really excite me. Like I told Jill, I think it was done for Genesis-recognition purposes. Too many people aren't even aware of the Genesis nameplate. That's pretty much standard parts-bin stuff. I did notice a couple of them....not as many as you did, of course, since you own and drive a Stinger every day. Last edited by mmarshall; 01-11-19 at 09:30 PM. I don't understand why this is a weakness. Does the MB 300 have a cutting edge design? Or an Audi A4? I actually don't think cutting edge makes sense for a brand-spanking new car from a new brand. If customers don't take to the cutting edge, you don't know if it's a flop because of that, or in spite of that. To me, the more conservative approach is the way to go with this vehicle. Just look back to the Lexus and Infiniti introductions. The LS400 was a bread and butter, conservative design; and it took off. The Infiniti Q45 was more unconventional and "cutting edge", with no front grille, and unusual advertising that didn't actually show the car. And customers didn't take well to that, and the Q45 limped along for 2 generations, and was scrapped. This is a huge selling point for this car. Did you get to drive the TT V-6 too? No. As I explained in the write-up, the only 3.3L they had in stock was in the showroom, and it would have been impractical to try and move it out in the cold and wind. The dealership also said that 3.3Ls are currently hard to get. To me, the more conservative approach is the way to go with this vehicle. Fair point, I just think a luxury car, especially a entry level model should stand out among its peers with its design. Something for the peers to copy. I don't think Audi, Lexus, BMW or MB would use the G70 design as their benchmark. Next planned review: 2019 Ford Ranger. I don't think Audi, Lexus, BMW or MB would use the G70 design as their benchmark. Maybe not, but I would classify each of their entries in this class as conservative designs, not cutting edge. And, particularly in this climate of the disappearing sedan, cutting edge--in terms of design--is riskier than ever.